Welcome to STATUE M A R V E L S! All times are GMT -3. The time now is 09:44:12 PM. 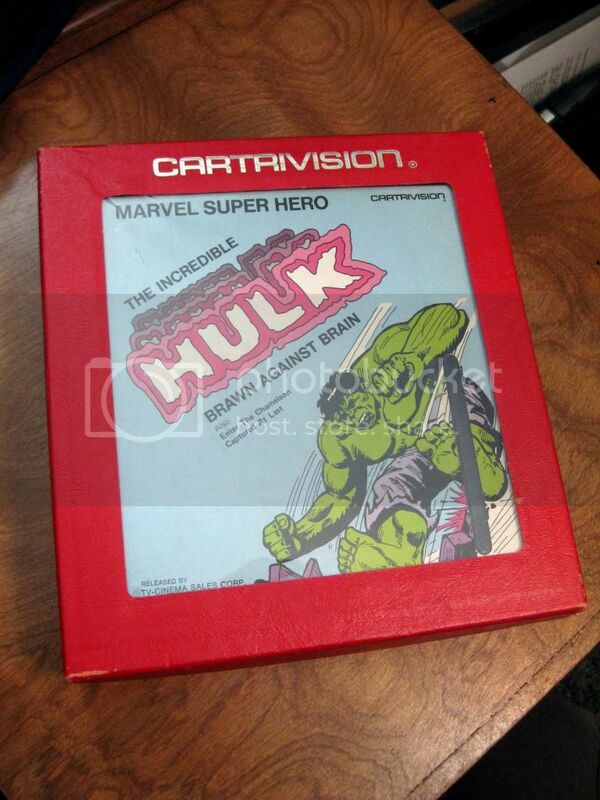 This is a 1966 Cartivision Hulk tape - made before the advent and adoption of the VCR format. 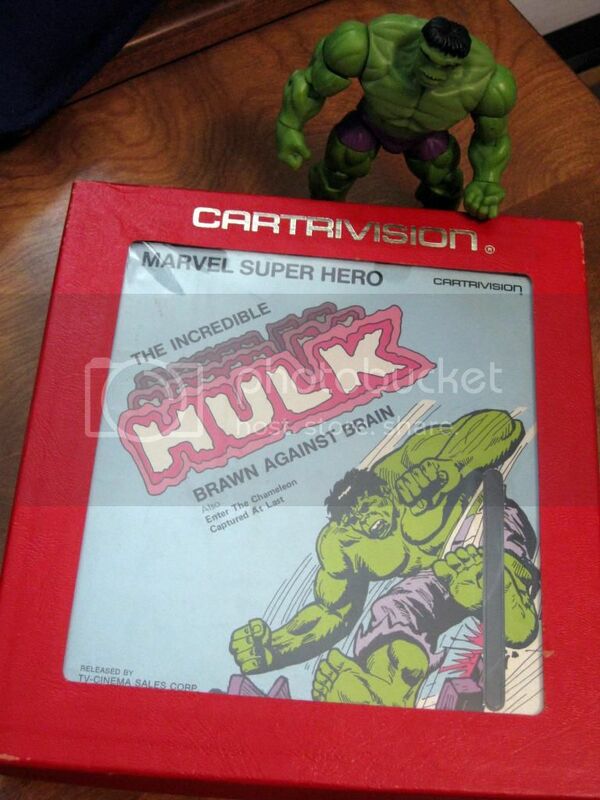 Wow, there's an obsolete collector's item classic if I ever saw one. I got this not long ago by sheer luck on the 'bay. 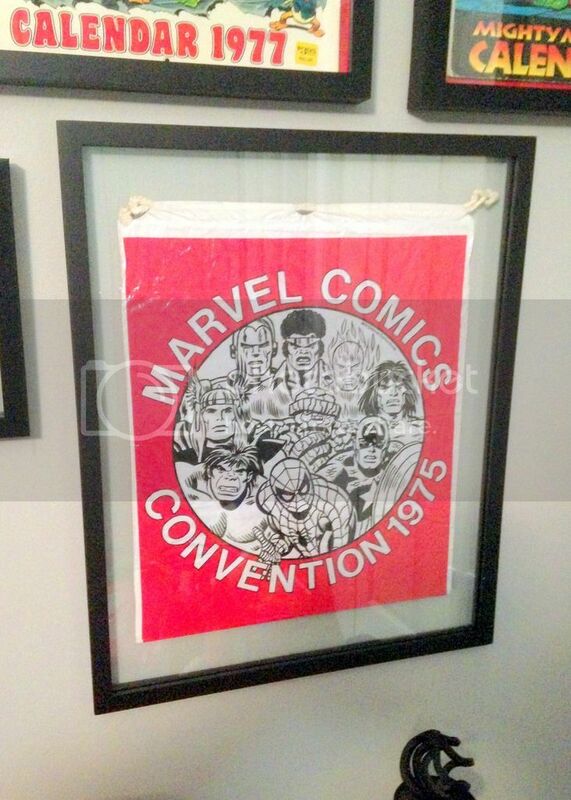 It's usually only sold with the entire "kit" of items given to attendees of the 1st Marvel Comicon in 1975. 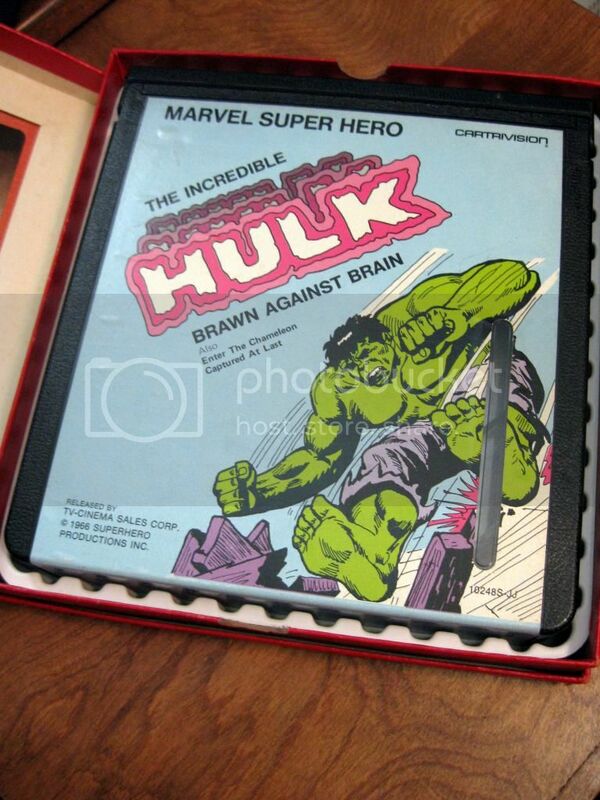 I have the 1976 bag, which has GREAT artwork. This one was unobtainable until lately. I think I see a few more thrown up on the 'Bay and can be obtained at a good price. Regardless, this helped me close out at least one grail. 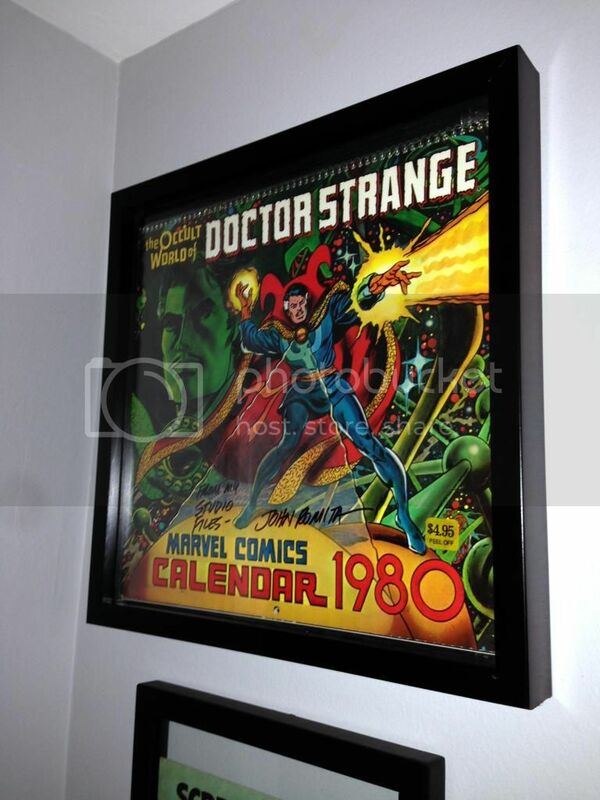 I placed it into another floating frame and placed under my Calendar set. I'm not sure if it's really in the right place - so we'll see how it goes for a bit. I also decided to pack away Batroc on my desk and moved Strong Guy up top with the other hero busts. I was slightly worried about the overall weight but I'm confident now that it will not fall. I like the fact that I can sit back in my home office chair and start at these with pride. Nice! 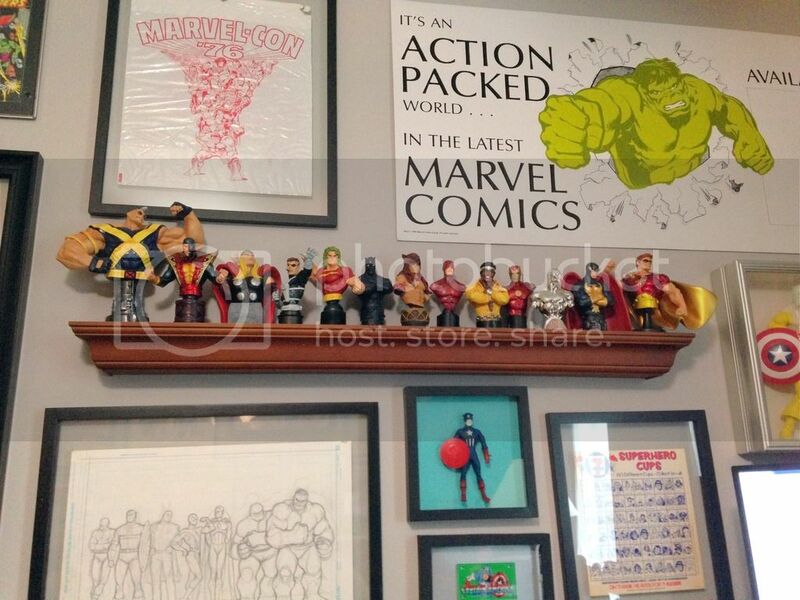 I'm considering doing that with my villain busts, using that type of shelf. I take it you don't want/need any other characters do you? I wish I could find that type of shelf again. It's an old one that we've had for years and I can't seem to find them anymore. The ones that are out now don't have a ledge "lip" - it's all smooth shelves. I'm probably not looking enough. And my character want list is as long a Mr. Fantastic's arm dunking a basketball from half-court....! is there enough clearance on that shelf? looks really nice but I'd be afraid they would fall off! how about a few new photos of the entire room? Believe it or not, yes - there is...! What can't be seen from the photo is that there's a raised edge on the front end - so if you scooted the MB's forward they would be stopped by that ledge and couldn't go any further. I keep looking for similar shelves but I can find them. This particular shelf is several years old, so we can't even remember where it came from in the first place. So...the search continues. 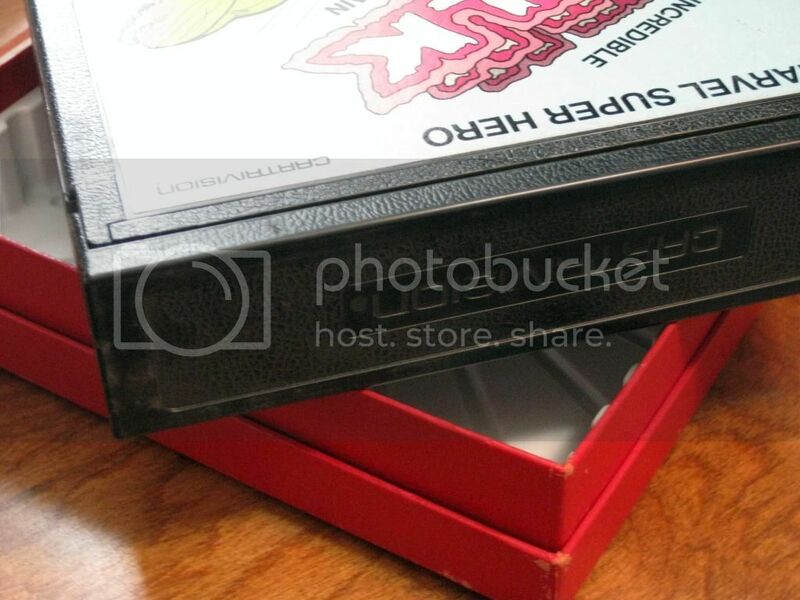 However, Bezzerkker posted some photos of some heavy duty flat shelves that I really like that I am considering for full size statues if I can't get a display case that I have in mind. Home Decorators (an online division of Home Depot) has quite a few of those "floating shelves" available in various lengths, Ken. 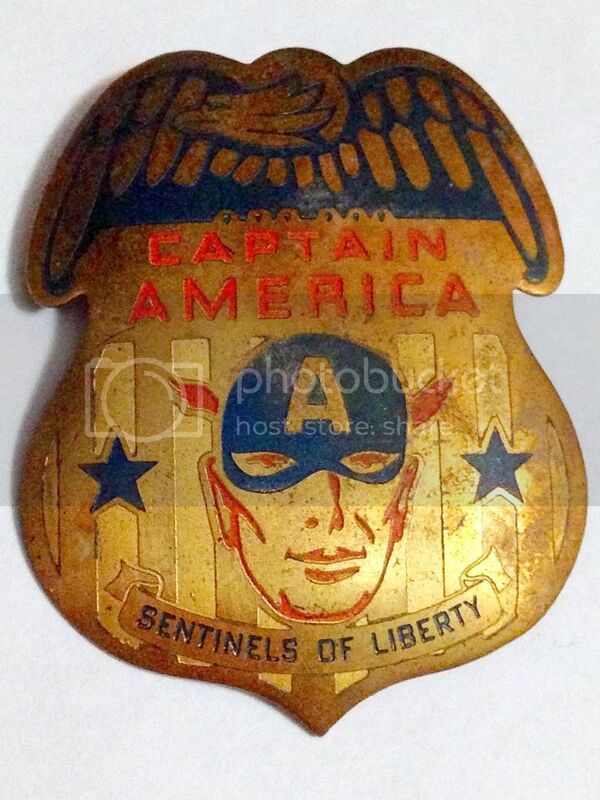 This is the 1st issue of Captain America's Sentinels of Liberty Badge issued in 1941 through Timely Comics. 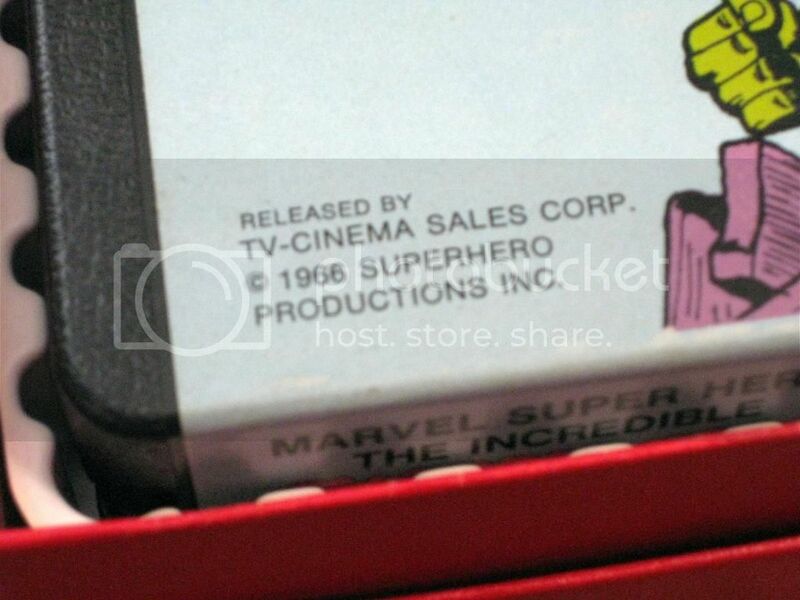 Timely, as many of you are aware, was the precursor publishing company that ran from 1939 through 1950, before eventually becoming Marvel Comics. 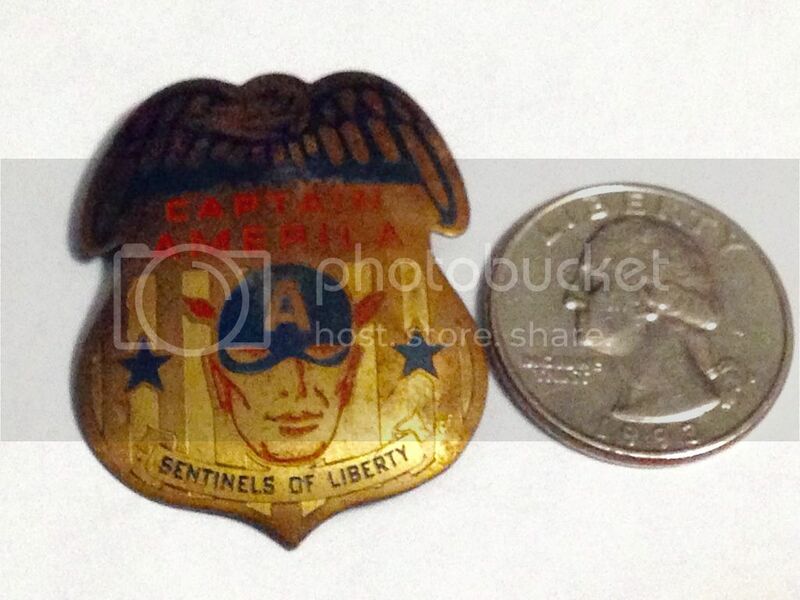 Anyway - one was able to send in a dime to get a membership kit that included this badge. It's a little dirty, but all the edges are SHARP, and all of the coloring is there...I plan on cleaning it up and then getting it into a special shadow box for formal display. And insured...oy. That is awesome SD. 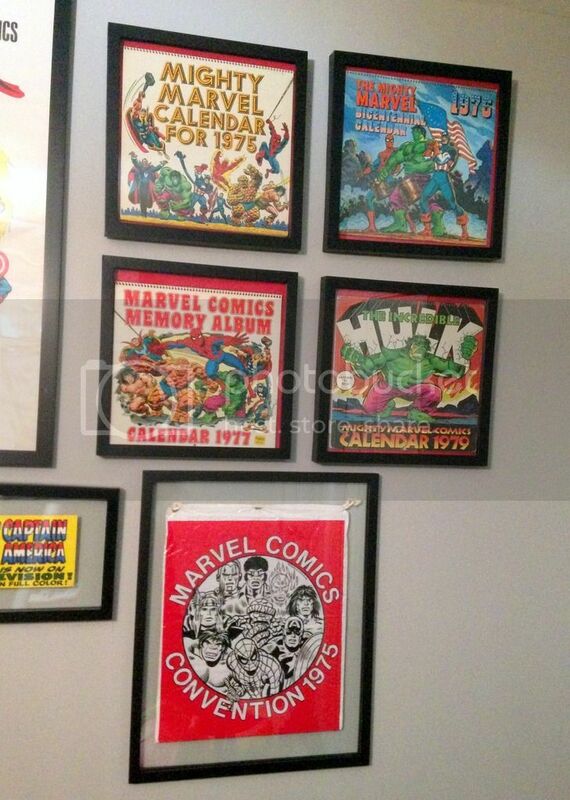 Really cool to see some older and different collectables. Seems luck has been with you on finding some great items. 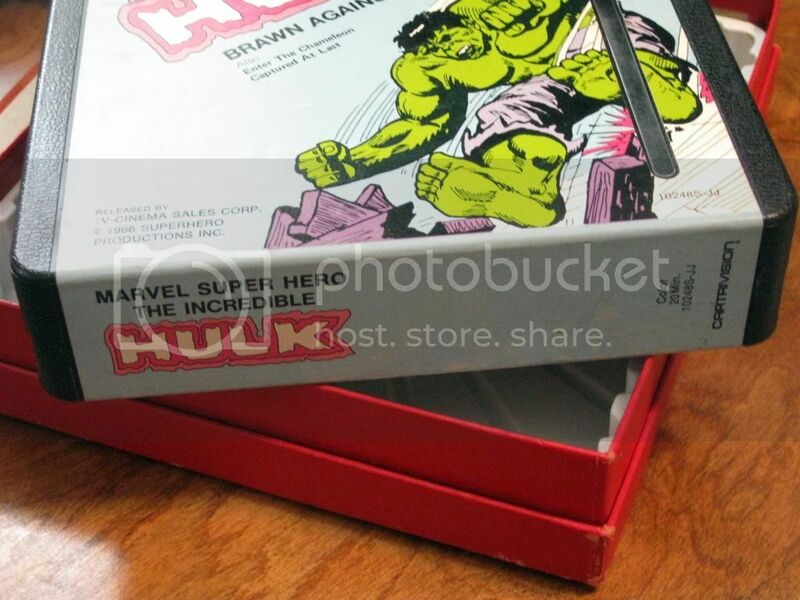 Well, you know what they say about cleaning or polishing old metal collectables. It instantly devalues them....by a LOT. I would probably just pick up one of the 1990 Planet Studios re-issues of that badge and display them side-by-side. Fun Fact: the first issue badge (of 3) is the only one that is not magnetic. D'oh! I did not know that - thanks for telling me...! So, I'll leave it "as-is"....I! And yes! I did the magnetic test after I did more research on it. Felt even more lucky when I figured out it was the 1st issue. As far as the Planet Studio's replic pin...GREAT IDEA! That pin is awesome! Very nice addition to the collection. Looking forward to seeing the display you put together for it.